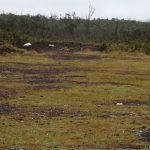 (Hilo) -The DLNR Division of Conservation and Resources Enforcement will work on safety improvements at the Mile Marker 16 Shooting Range from Monday April 15 through Thursday April 18, 2019. 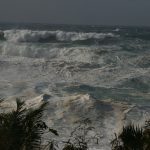 The shooting range will be closed during these days. 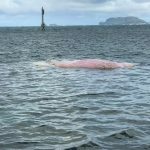 (Honolulu) – The carcass of what is described as a “very large” whale of unknown species washed onto a patch reef in Kaneohe Bay yesterday morning. 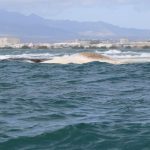 It is about one mile off-shore from Waikane. 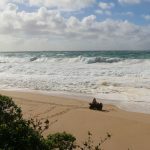 (Honolulu) – While attempting to either launch or retrieve a jet ski at the Haleiwa Small Boat Harbor ramp last Saturday (Jan. 12, 2019) the driver of a truck, towing a ski trailer, jumped out to get help when his vehicle began slipping down the ramp. 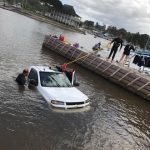 By the time he got to the parking lot, both truck and trailer were completely submerged. 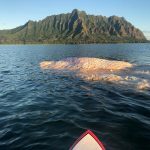 (Honolulu) – Video of a man standing on top of the carcass of a sperm whale off the south shore of O‘ahu is being investigated by both federal and state law enforcement authorities. 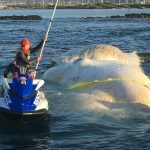 NOAA’s Office of Law Enforcement (OLE) and the DLNR Division of Conservation and Resources Enforcement (DOCARE) are looking into this incident and any others where people have touched the whale or as some reports have suggested, tried to remove some of its teeth.